NEXT ARTICLE Get up to 75 per cent off in LFC's Mega Sale! A police officer at Hillsborough said he tried to save a 14-year-old boy after seeing a "glimpse" of what he "thought was life". Thomas Howard, 39, and his son Tommy were the only father and son to both die in the 1989 disaster. PC Graham Butler told the new inquests he found Tommy among other casualties and tried to resuscitate him. The jury saw footage of the boy holding on to his father's jacket in the crowd before the match kicked off. They were seen in footage on the Leppings Lane terraces at the Sheffield ground on 15 April 1989 after taking a coach from their home in Runcorn. David Lackey, a Liverpool fan who was in the same pen, said he saw Mr Howard in front of him saying "my son, my son", but he could not move to help him. He said: "I said 'drag him up' and he said he couldn't. I knew he couldn't. There was nothing else I could say, nothing else I could do." Mr Lackey said he later saw Mr Howard turning yellow and slumping forward in the crowd. 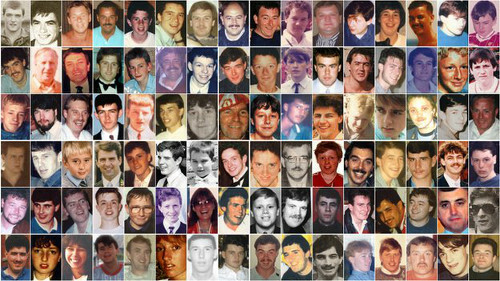 The jury heard how another Liverpool fan, Paul Taylor, saw Tommy in the pen after the crush and tried to give him the "kiss of life". Mr Taylor said Tommy's eyes were open and "watery", he looked "very peaceful" and was unconscious, but he did not check for a pulse or breathing. A police officer later checked Tommy for a pulse through his gloves before saying "leave him, he's dead", Mr Taylor said. Mr Butler later found Tommy among other casualties and thought he saw "a flicker in his eyes". "I thought there was a chance he might survive, so I picked him up," he said. The jury heard how Mr Butler and some fans carried Tommy the length of the pitch to where someone who he now believes was an ambulance man told him: "He is not alive, take him to the gym." A doctor confirmed Tommy's death in the gym at 15:55 BST. Another police officer, Peter Muir, said he found Mr Howard inside pen three after the crush. He said he was drawn towards him because his eyes were "flickering" and his lips were "quivering". The officer said he carried Mr Howard through a tunnel at the back of the pen and laid him on a grassed area. He checked Mr Howard's pulse and in a statement said he felt a "slight response" at one point. He continued with CPR and an off-duty nurse came over to help, but Mr Muir said they were told by a doctor that Mr Howard had died. 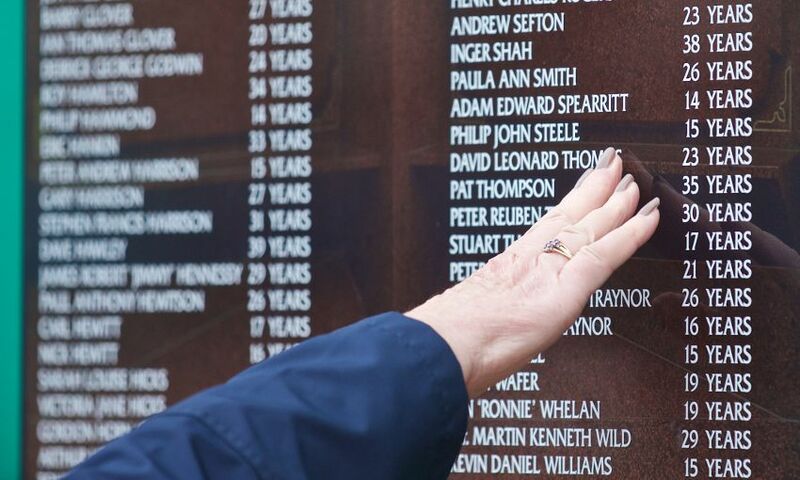 The inquests, in Warrington, are due to resume on Friday.